Samsung fans can rejoice because this is one of the best Galaxy launches we’ve ever seen from Samsung. The design, versatility, and speed of the S10, S10e, and S10+ is something they should be proud of. With this much technology and innovation in the palm of your hand, you’re going to need something to protect your investment while you’re multitasking online and snapping professional quality photographs. 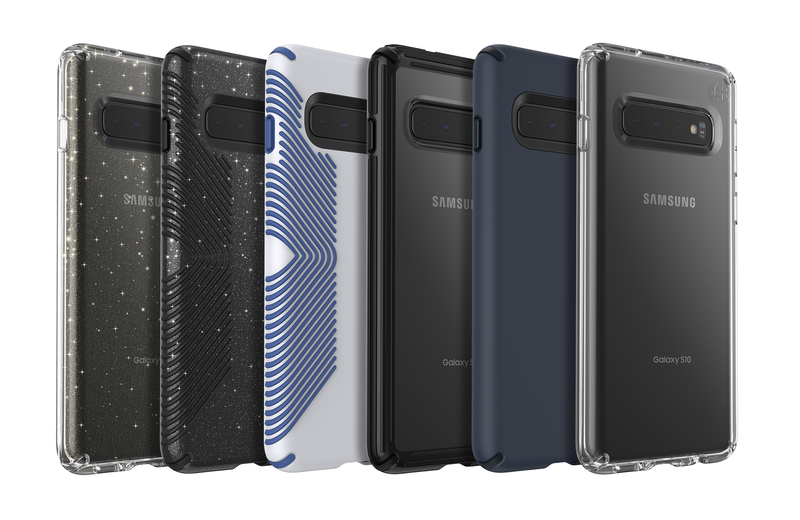 That’s why it’s essential to choose a protective phone case for your Galaxy S10 that provides drop proof protection and showcases the beauty of your device. If you’re still on the fence about switching to one of the new Galaxy S10 devices or if you’re just a tech lover that wants to know the latest-and-greatest of what’s new, we’ve compiled five key takeaways that were complete game-changers for the S10 lineup. The new Samsung Galaxy S10 lineup is certainly revolutionizing how we connect with our mobile devices. Each of the three Galaxy S10 options blurs the line between smartphone and technological revolution and is guaranteed to help bridge the gap between people and technology. Here are 5 need-to-know innovations about Samsung’s new S10 devices. It’s transforming still and video photography. The S10 and S10+ devices have a triple rear camera system which is a pro-grade camera for everyone and every situation. With a wide-angle lens, a telephoto lens, and an ultra-wide lens, there’s a UHD camera able to capture any memory at any moment. Do note, S10e has innovative dual rear cameras that provide a wide-angle lens and ultra-wide lens. The new Galaxy S10 series has partnered with Adobe and Instagram to deliver an editing and social sharing experience unlike any other. With the Galaxy S10 devices, you can now shoot, edit, and post any videos or images directly from your mobile phone. A new generation of charging and battery life. The new Galaxy S10 battery lasts up to 25% longer and uses A.I. technology to identify the apps you use less and manage their power usage. This advancement will save your battery life for when you need it. Also, a fast-charging feature allows your S10 device to go from zero to fully charged 36% faster than in the S9 series. All Galaxy S10 devices have Wi-Fi 6. This is Samsung’s next generation network that’s 20% faster and more reliable than what’s found on the Galaxy S9. Even more impressively, the connectivity works better in crowed areas like airports or coffee shops. It has the world’s first dynamic AMOLED display. This revolutionary innovation provides peak brightness and more than 16 million colors, making it the most accurate display ever on a device. It also supports HDR 10+. The Galaxy Fold has an infinity flex display, which allows your entertainment to truly come to life. Seamlessly switch from a 4.7” display to over 7” when transformed into the tablet mode. Multitasking capabilities and app continuity allow you to browse, text, and utilize apps without missing a beat. A ground-breaking hinge system that gives the device a seamless and elegant look. The Galaxy Fold has a stunning 12 gigs of ram, which makes it one of the most powerful smartphones on the market. A total of 6 cameras allows you to capture your meaningful moments no matter if you’re using the device in mobile mode or tablet mode. We hope these tips have helped you feel more confident about the new Samsung Galaxy S10 lineup. But remember, no matter which new Samsung Galaxy device you end up choosing, make sure you’re protecting it and keeping it looking great with a new Speck case.